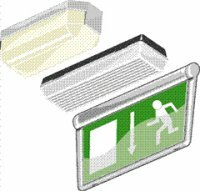 Emergency lighting is a must in most commercial & industrial buildings. It is also essential in hotels and houses of multiple occupation. We will design and install a system for you that complies to BS5266.